It is funny that when I started to sing the song "Over the River and Through the Wood" I sang "..to Grandmothers house we go", but when searching for the full version of the poem, found that it is actually "to grandFATHER's house we go". Have I really been singing it wrong for all these years? Whatever the case may be, it is that time of year again, Thanksgiving, when many gather to enjoy delicious meals, some find their way to soup kitchens to feed those who are less fortunate, some work in restaurants and toll booths so others can travel and eat out with their families, and families gather to, hopefully, enjoy one another. This year may be challenging for more people than previous years for various reasons, the economy, job loss, loss of loved ones, family strife, any number of things can affect how we approach this time when hearts should be thankful...I know, I experience some of these mixed feelings and emotions myself. But as hard as things may seem to be, when I take hold of my thoughts and direct them toward God and positive things, there is always something to be thankful for. The list may include things a big as the fact that my husband is a faithful man and still with me after over 30 years (update..until 8/6/17 when he went home to Heaven), to as simple as the fact that the sun is shining today and a beautiful bird just came to feed at the bird feeder. Some Grandmothers will find themselves working this year that have never had to work before...perhaps even on or the day after Thanksgiving...this can either be something to be upset about or thankful for. It is up to us how we view the circumstances in our life. I'm not being naive, I know many are hurting, some are very close to me, but also know that if each of us dig deep enough, we can find something to be thankful for. Do some digging, and journal what you find, or share it with someone. 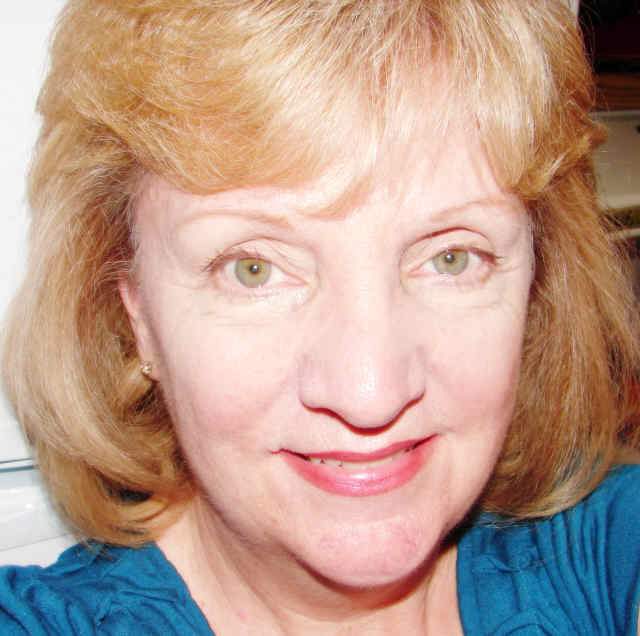 Marilyn is an author, which means she makes an income writing wherever she is, at home, or on the road. Some time ago she provided the following post for an earlier blog that is no longer available, I hope that if you are thinking of writing, or are a writer, you will find it inspiring. It is with great relief and pride that I can announce that the completed first draft of "Questing Home: A Safe Place for My Holy Grail" is now done. It now goes to the first readers who will give me feedback for flow, continuity, and to my children to see if they want themselves portrayed as I have written them. This has meant pouring over journals, letters, photographs, court documents about my divorce and interviews with people who were in my life from 1989 to 1996. Writing this third book has been hard work and often emotionally difficult. Breaking the old rules of my childhood upbringing about keeping family secrets and turning the other cheek has challenged me. I have removed myself from a lot of life to be able to get this to this stage. Fortunately I work at home. I feel as if I am now free in a way I haven't been free in many years yet I know there is a lot of hard work ahead. For those who have read "Questing Marilyn " 2003 (took me 17 years to get done) and Questing France 2005 you know I love to travel and I have travel adventures in this book too so I am keeping with the theme Personal Growth Through Travel. It is my hope that this book will be recognized as a significant contribution on issues of adult bullying, the inequity of the divorce process most often but not always for women and how people in powerful positions can abuse their power with impunity. It is filled with personal growth and stress management methods and experiences. The next steps include making the edits my first readers suggest if I agree with them, then having it copy edited professionally (even then some typos have slipped through as Questing France was edited by paid editors twice.) and making the corrections found, having it designed including a cover design and pictures inserted then printed. Whew! A long process. I hope to have it ready for sale in May. I hope this book will become one that women's centers and advocates for a more just process of marital dissolution will use. I know my first two books have helped both men and women find their voice and stand up for themselves in abusive and disrespectful situations. I've had wonderful feedback. Best wishes to you and as this is a dream coming to fruition for me. I hope your dreams are coming true too! As I update this, I can't believe it has been over 8 years since I took this trip to Maine with my husband. Since then we went another time or two, and my dear husband is now deceased, so Maine is one of those places that will be hard to visit again without feeling the loss, as we vacationed there as a family and a couple many times. This was one of our favorite places to visit. We had a wonderful time on this trip, and came home to cooler temperatures after a very hot summer that year. Pictured below are a couple of gardens on the property of a large Inn in Bar Harbor, overlooking the water. I think it may be Bar Harbor Inn. We love to walk their path along the shore, and watch the sailboats, yachts and cruise ships come and go. I would love to be able to stay at this place sometime, but think it may be a bit out of our price range. Still, it costs nothing to enjoy the outside views and look at their gardens. I'm so happy to introduce you to another Grandmother many times over who's creative gift lead to making a military purse for someone that brought joy and comfort, and that lead to making another...and another. I'll let Jackie tell you her inspiring story in her own words. 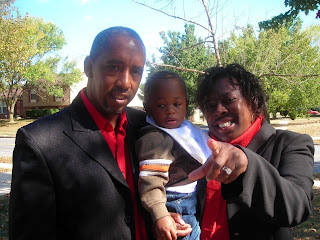 "My name is Jackie Thompson and I live in Killeen, Texas. I am the proud mom of 2 boys and 1 step daughter. My husband and I have 9 grandchildren and 1 more on the way. They call me nana, grandma, mawmaw and each time I hear those words it is the sweetest sound to me. "I started out making cloth dolls and have done well with that but I wanted more. I decided to make a purse for a friend of mine whose husband recently joined the Army. I wanted to make something for her that made her proud and represented her husband, so my purses were born. "The day she received her purse she had people coming up to her wanting to know where she got her purse and how they could order one. Needless to say I have been blessed with orders since I began my new venture. The best thing about my business is getting emails and phone calls from my customers telling me how proud they are of their purse/bag. These bags/purses are not just regular purses, they are keepsakes, reminders of your loved one who is serving or has served in the military. What better way to keep your soldier close to you while they are away than to carry one of these purses with you. It's like having a part of your soldier with you every time you walk out the door." At this update, the link to Jackie's craft site no longer works, perhaps she is out of business. I tried to find her without success, so hope she will one day find us again. Ladies, are you planning on taking a special break tomorrow, whether you work outside of the home or work at home? With the economy as it is these days, in some cases fun is being taken out of many workplaces. Vacations are shortened; no longer do some get vacation days PLUS sick days, but get an allotment of days that have to be used for whatever - whether it be a sick day, personal day and if you have any days left, you may actually be able to take a vacation. This is how it was at my husband's company. On the lighter side, if you have any influence in your workplace, June 17th is a day for a little fun...I'm not sure where the "Recess at Work Day" phenomena got started, but it sounds like a good thing. Plan something special...an outing with the girls different from the usual; have something special delivered to the company to enjoy; play music loud and dance up a storm...okay, maybe I'm getting a little carried away...but you get the idea. Many of us cringe when we hear the word "telemarketing" thinking of those phone calls that come right around dinner time or during your quiet evening when you finally put your feet up after a long and busy day. Because of the abuse, you can now register to be put on a "Do Not Call" list so that you no longer receive these calls (hopefully). 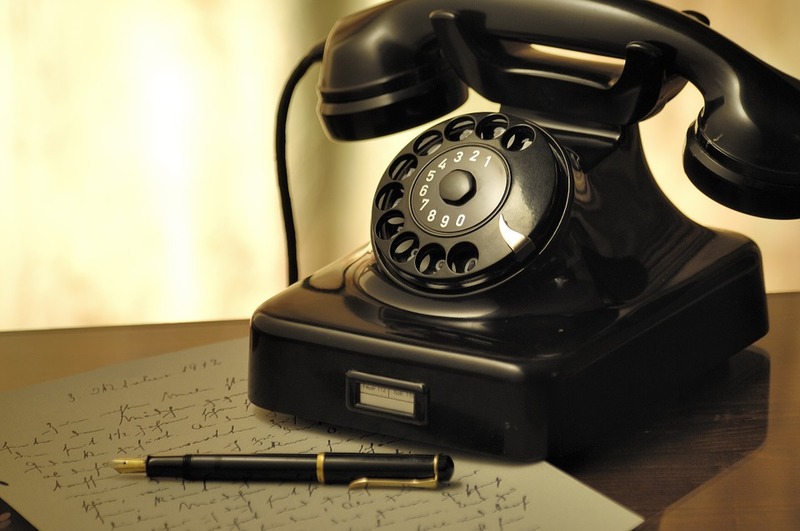 Making contact with people is, however, an important part of a successful business, including phone communication. In observance of "Telemarketing Awareness Week", I thought it might be a good idea to take a look at good telemarketing practices. 1. Don't use an automated service to make your calls for you...there is nothing I hate more than receiving a call from a "machine" or recording....now known as "robo-calls". I hang up on these as soon as I know it's a solicitation and block the number on my iPhone. 2. Try to sense whether the person you are calling is a "get to the point" type person or someone who will want to be engaged in conversation before you try to sell them. Personally, my heart sinks when someone I care about calls and carries on friendly conversation, only to find out further into the conversation that they are calling me about something they are selling. I'd prefer that they say a few friendly words, then tell me what they are calling about...depending upon how things go, we can do the friendly talk later. 3. When you speak to someone in person or by phone who may be a potential customer, or team-member if you are a network marketer, tell them you will be calling and if possible agree on a time that is good for them. 4. Don't call at dinner time...and take into consideration time zones if you are calling out of your time zone. 5. Personal pet peeve - don't call soliciting business or sales on Sunday. Again, this is something I, personally, don't appreciate as I believe that Sunday is a day set aside to rest...yes, many have to work on Sunday, I know all that....but am just giving you something to think about. If you know the person you are dealing with, you'll know how they feel about calls on certain days of the week. 7. Don't be put off if a person isn't interested, if you're a sensitive type, hearing "no, I'm not interested" can bring you down, don't let it...in reality, only a small percentage of those you contact, especially if you are doing "cold calling" are going to be interested...so move on. 8. DO offer something special to a customer that has made a purchase, or to encourage them to make a purchase, like a percentage off their next order, or a free item with their next purchase. 9. DO at the outset, identify who you are clearly when you call and ask whether you are calling at a good time. 10. DO ask for referrals if all goes very well with your contact. I'm sure there are many other helpful tips, and pet peeves, feel welcome to share yours in a comment. At least I hope that's true...I mention this because Mother's Day has come and gone, and I was so busy enjoying it that I haven't taken a moment to write about it. During our church service, Abraham Lincoln was mentioned as a President who knew that it was his mother's prayers that stayed with him during the difficult years of his Presidency and after. Long ago, on another blog that I kept that is no longer online, a friend named Bea Kunz wrote the following about Abraham Lincoln...I thought I'd share it here, it may seem out of place...but it's not...it's written by a working grandmother who loves history, her links can be found at the end of her writing. I just thought this needed to be looked at and thought about today. Abraham Lincoln warned the South in his Inaugural Address: "In your hands, my dissatisfied fellow countrymen, and not in mine, is the momentous issue of civil war. The government will not assail you.... You have no oath registered in Heaven to destroy the government, while I shall have the most solemn one to preserve, protect and defend it." Lincoln thought secession illegal, and was willing to use force to defend Federal law and the Union. When Confederate batteries fired on Fort Sumter and forced its surrender, he called on the states for 75,000 volunteers. Four more slave states joined the Confederacy but four remained within the Union. The Civil War had begun. "I was born Feb. 12, 1809, in Hardin County, Kentucky. My parents were both born in Virginia, of undistinguished families--second families, perhaps I should say. My mother, who died in my tenth year, was of a family of the name of Hanks.... My father ... removed from Kentucky to ... Indiana, in my eighth year.... It was a wild region, with many bears and other wild animals still in the woods. There I grew up.... Of course when I came of age I did not know much. Still somehow, I could read, write, and cipher ... but that was all." Lincoln made extraordinary efforts to attain knowledge while working on a farm, splitting rails for fences, and keeping store at New Salem, Illinois. He was a captain in the Black Hawk War, spent eight years in the Illinois legislature, and rode the circuit of courts for many years. His law partner said of him, "His ambition was a little engine that knew no rest." He married Mary Todd, and they had four boys, only one of whom lived to maturity. In 1858 Lincoln ran against Stephen A. Douglas for Senator. He lost the election, but in debating with Douglas he gained a national reputation that won him the Republican nomination for President in 1860. As President, he built the Republican Party into a strong national organization. Further, he rallied most of the northern Democrats to the Union cause. On January 1, 1863, he issued the Emancipation Proclamation that declared forever free those slaves within the Confederacy. Lincoln never let the world forget that the Civil War involved an even larger issue. This he stated most movingly in dedicating the military cemetery at Gettysburg: "that we here highly resolve that these dead shall not have died in vain--that this nation, under God, shall have a new birth of freedom--and that government of the people, by the people, for the people, shall not perish from the earth." Lincoln won re-election in 1864, as Union military triumphs heralded an end to the war. In his planning for peace, the President was flexible and generous, encouraging Southerners to lay down their arms and join speedily in reunion. The spirit that guided him was clearly that of his Second Inaugural Address, now inscribed on one wall of the Lincoln Memorial in Washington, D. C.: "With malice toward none; with charity for all; with firmness in the right, as God gives us to see the right, let us strive on to finish the work we are in; to bind up the nation's wounds.... "
On Good Friday, April 14, 1865, Lincoln was assassinated at Ford's Theater in Washington by John Wilkes Booth, an actor, who somehow thought he was helping the South. The opposite was the result, for with Lincoln's death, the possibility of peace with magnanimity died. Died: April 15, 1865. Lincoln died the morning after being shot at Ford's Theater in Washington, D.C. by John Wilkes Booth, an actor. Are we there yet? What do you think? It's a pleasure to introduce you to Angie Baker, a "crafty" grandmother. When you read her story, you will see how a creative gift can become a business. Enjoy! I am a mother of eight children-four grown boys, four grown girls. All of whom I am proud of. I have seven grandchildren, three girls, four boys. Six of my grandchildren are living. I lost my Maxwell Shelby Ray Haworth at one year of age, but he is still mine. He was born with a heart deformity, half a heart. It was not found out until he was six weeks old, then they said he was an old baby and his chances of survival were slim. Max was a gift for a year. I got into my jewelry design business quite by chance. I had purchased a beading kit from Costco at Christmas 2006 for my oldest granddaughter Brittney. She didn't come that Christmas, I didn't get around to mailing it. So here sits this perfectly good craft item. I have been a crafter since birth, I am 56 years old now, so that will give you some idea. Back to the beading kit. I decided to start playing with the beads, in February 2007, they were not top quality glass beads, but they were still pretty and interesting. I created a few bracelets and decided to post them on a social site called Made Big Nation. There you post items for sale and get made big coins in return, so that you can purchase other items posted there. Along comes a person by the name of Donna Young. She sees my chunky bracelet in orange and blues and asks me to create a bracelet for Valentines Day. I agree, I also tell her I am new at this designing of jewelry but I will do my best. I created the jewelry, sent it to her and she was pleased. She then contacted me to create another piece for a friend, which I did. Needless to say, she purchased a total of 16 bracelets, and my business was born. There is more to the story, but I shortened it. As to my interests, I love people, animals, anything creative, art, knitting, crocheting, candle making, soap making, leather work, rock tumbling, etc. I have done it all. You should see my craft room. It looks like a store! I’m thankful to have been able to work around our family, but where does a closing-in-on-40 year old woman go to find a job? For me it was an Oral Surgery satellite office 20 minutes away which I managed for two doctors. They kindly allowed me the opportunity to work while updating my computer/office skills. Six years later, with one son in college, another a senior in high school and the third closing in on high school, I needed a full-time job to help with college expenses and high school extra-curricular activity bills. And that is how I ended up at a local business as a sales coordinator for nine years.vI know – trained for lawyers and worked for engineers, doctors and salesmen – nothing “relates”, does it? Plus, nobody needs “secretaries” anymore – everyone does their own thing on computers! And, NOW I’m closing in on SIXTY!! After we were blessed with 6 (yes, six!) grandchildren, with two more on the way, I left that job two years ago. In hindsight I am even more thankful because my father went to be with the Lord (and mom) this past Dec. 26. These past two years were filled with many medical appointments for him that I am SO thankful I could do. (I was thankful at the time, but even more so now!) I LOVE being with my grandchildren, but I’d also like to help my husband financially. Plus, they say our brains “go to mush” if we don’t use them. Ameriplan®, USA, offers the chance for me to do it all. Yes, it’s network marketing and I’m learning, learning, learning – which is FUN! It’s VERY affordable to begin your own business. Plus, this company provides things I NEED in addition to a paycheck – discounts for dental, vision, prescription and chiropractic needs, as well as help with child ID, legal fees, medical expenses, identity theft (the fastest growing crime in America) and much more. [As I update this post, I am not sure whether Debbie is still in business, but am leaving this information just in case!] If interested, I’d love to hear from you via e-mail at DJohnson70 at ameriplan.net or by phone at 716-355-4223. We women need to STICK TOGETHER!! And we aren’t getting older, we’re GETTING BETTER!! This article was formerly on my old "Selling with Articles" site. The site no longer exists, but the article is a good one and worth sharing. I hope you enjoy. Grandchildren are one of the special joys you receive as you get older. While raising your own children, you may not have had the time or the energy to spend as much time with them as you wished to. Now you can build a special bond with your grandchild. If you have more than one grandchild, you should try to spend quality time with each one individually. If both their parents are working, these children may not get much attention separately. Plan a unique activity for each one, a memory that only the two of you will have. These activities can be as simple as a nature walk in the woods or playing a board game. You can also teach your grandchild a skill, such as how to play the piano or how to cook. When he grows up and uses these skills as an adult, your grandchild will fondly remember who it was that taught to him. Another way to get close to your grandchild is just to talk to him and then to listen to what he has to say. Again, with both his parents being busy, the child may not have anyone who really listens to him. Establishing open and close communication when the child is young may lead your grandchild to maintain that communication when he is older and you may pleased to find that he seeks your advice when making important decisions about his future. You can also share the family history with your grandchild. A child can feel more secure knowing that he belongs to an extended family group. Tell the child about relatives that he may not know and share with him any information that you have about your ancestors. Most children are interested in knowing where their family came from. You can spend an afternoon going through old photo albums and scrapbooks, telling your grandchild small facts about each picture. Also share with him stories of your own youth and his parent’s childhood. Not only will this entertain your grandchild, it is a way to ensure that the family histories get passed on to the next generation. A young child will become excited when he receives mail with his name on the envelope. In addition to birthday and Christmas cards, you can also send him cards for other holidays as well as short notes and letters. This can make your grandchild feel that he is special. If you do not live close to your grandchild, you can still form a bond with him. In the age of cell phones and computers, pictures are easy to send back and forth between you and the child. You could also mail a video tape of yourself showing him activities that you like to do and in return you can ask the child what activities he likes to do. When there are family get togethers, you can still plan to spend quality time with your grandchildren, although you may have to plan a group activity as time may be an issue in trying to plan activities with each one of them separately. Being a grandparent can be one of the most rewarding experiences of your life. Building a strong and loving bond with your grandchildren can lead to a close relationship that will last you the rest of your life. A year or two I received an email with the following heart-warming story. As I read it, I immediately thought of my own grandmother's hands. I remember sitting next to her in church as a child when we would visit to vacation at her home in New England each year, looking at those hands as they held mine. I look at my own hands now, and sometimes they remind me of hers. Read this simple but beautiful story, and do enjoy! Grandma, some ninety plus years, sat feebly on the patio bench. She didn't move, just sat with her head down staring at her hands. When I sat down beside her she didn't acknowledge my presence and the longer I sat I wondered if she was OK. Finally, not really wanting to disturb her but wanting to check on her at the same time, I asked her if she was OK. She raised her head and looked at me and smiled. 'Yes, I'm fine, thank you for asking,' she said in a clear strong voice. 'I didn't mean to disturb you, grandma, but you were just sitting here staring at your hands and I wanted to make sure you were OK,' I explained to her. I slowly opened my hands and stared down at them. I turned them over, palms up and then palms down. No, I guess I had never really looked at my hands as I tried to figure out the point she was making. 'Stop and think for a moment about the hands you have, how they have served you well throughout your years. These hands, though wrinkled shriveled and weak have been the tools I have used all my life to reach out and grab and embrace life. They braced and caught my fall when as a toddler I crashed upon the floor. They put food in my mouth and clothes on my back. As a child, my mother taught me to fold them in prayer. They tied my shoes and pulled on my boots. They held my husband and wiped my tears when he went off to war. 'They have been dirty, scraped and raw, swollen and bent. They were uneasy and clumsy when I tried to hold my newborn son. Decorated with my wedding band they showed the world that I was married and loved someone special. They wrote my letters to him and trembled and shook when I buried my parents and spouse. 'They have held my children and grandchildren, consoled neighbors, and shook in fists of anger when I didn't understand. They have covered my face, combed my hair, and washed and cleansed the rest of my body. They have been sticky and wet, bent and broken, dried and raw. And to this day when not much of anything else of me works real well these hands hold me up, lay me down, and again continue to fold in prayer. I will never look at my hands the same again. But I remember God reached out and took my grandma's hands and led her home. When my hands are hurt or sore or when I stroke the face of my children and husband I think of grandma. I know she has been stroked and caressed and held by the hands of God. I, too, want to touch the face of God and feel His hands upon my face. Thanks, Claudia, for creating a community of working grandmothers. What a neat idea! This is my introductory post, and I'll make it about emigration and extended families. [Emigration is the act of leaving one's country to live in another, immigration is the process of becoming part of the new country]. I emigrated from Holland to Canada with my geologist husband in 1969 at the age of 25. I have never been sorry for a single moment, but only recently have we started to realize how much the next generation is deprived of extended family. I come from a close, matriarchal family. My mother had 4 sisters and her father died when Mom was 12. "Oma van Eijk" was definitely a presence in our childhood. I was always a bit scared of her, and did not like the way us kids had to behave better than normal (we were really pretty good) when Oma came to stay with us. We did have some good times together when I went to stay with her in her home. But I did not start to fully appreciate her courageous and difficult life till long after she was gone. My father's parents were more fun, especially since they lived in a downstairs flat with, oh joy! a backyard with an apple tree, a gap in the hedge that led to Opa's brother's backyard next door, and even a few chickens at the end of the yard. Besides that Oma only 5 feet tall, if that, and was a lot of fun to measure yourself against. When I met my husband his redoubtable and remarkable grandmother on mother's side was still alive. "Moele" lived in a huge home filled with antiques and souvenirs of her many years in the Dutch East Indies, now Indonesia. She organized a lavishly catered family reunion every Christmas season where all the nieces and nephews gathered. She told us (in 1965) that she wanted to stay alive to see a man land on the Moon. She did. Quite a lady. I can't say the extended family was a daily part of our lives, but there was definitely a network of aunts, uncles, cousins, grandparents that one took for granted and it was there in the background. My parents used to visit here a lot, Mom almost once a year. But none of my siblings had kids, for various reasons. The family tree has shrunk instead of expanded. Four kids, two grandchildren, one great-grand, at least so far. There is still hope :). This leaves my children in the world without cousins on that side of the family. My husband's sisters had 5 kids between them, but his family is less close than ours. This was simply not a big deal when they were growing up. We were part of a rural "back-to-the-land" community, with friends taking the place of family. But the young have all scattered, as they must to find more opportunity than a small resource town can offer. Fortunately our daughter married into a small but close family and her in-laws live in the same town as us. We are good friends, so we are creating an extended family in that way. It is great! There really ought to be a word for sideways relations. What do you call people with whom you share a grandchild? Our grandson, who will remain un-named because my girl guards her privacy, has cousins on his father's side. The other grandparents of those cousins live here too, and have kindly included us in a sort of sideways extended family. We have even had Christmas at their place. What do you call people whose grandchildren are cousins to your grandchild? We need to enrich this language! Ien in the Kootenays, Mother of daughter, 33, who just got her PhD in microbiology, and son, 28, a geologist like Dad who is moiling for gold in the NorthWest Territories, one brilliant grandson, 9. Hello Grandmoms! It's the Happy Nutritionist here. I hope all of you are doing well, and really enjoy reading the different and varied posts from our contributors. Today I went for my annual physical, thankfully all looks great, I am awaiting results of my blood-work, and do have to schedule my Mammogram, very important! When I got home, in my inbox was yet another reminder about the importance of keeping our bodies moving...and I thought I'd pass it along. 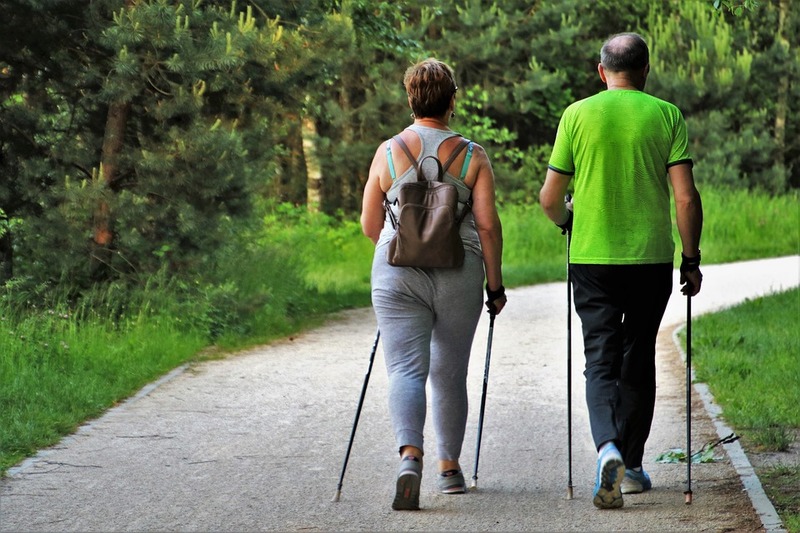 Health researchers from King’s College in London have just concluded a study that suggests people who are physically active in their free time may be biologically younger than their less active peers. The research was published several years back in the Journal of the American Medical Association, visit the link for more current articles on physical activity and health. The researchers looked at the physical activity levels, smoking habits and socioeconomic status of 2,401 study participants. The researchers also collected DNA samples from participants and examined certain DNA characteristics that change as part of the aging process and therefore may serve as a marker of a person's biological age. Overall, the study participants had changes to the DNA characteristics that come with aging, but those who were more active in their leisure time showed less of a change. "A sedentary lifestyle increases the propensity to aging-related diseases and premature death. 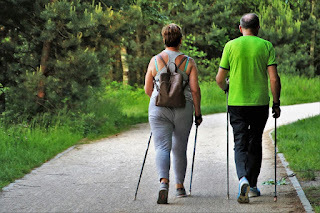 Inactivity may diminish life expectancy not only by predisposing to aging-related diseases, but also because it may influence the aging process itself," study author Lynn F. Cherkas, of King's College London, said in a prepared statement. "The U.S. guidelines recommend that 30 minutes of moderate-intensity physical activity at least five days a week can have significant health benefits," the researchers wrote. "Our results underscore the vital importance of these guidelines. They show that adults who partake in regular physical activity are biologically younger than sedentary individuals. This conclusion provides a powerful message that could be used by clinicians to promote the potential anti-aging effect of regular exercise." Walking for 30 minutes a day is the easiest way to add more physical activity to your life. If you’ve been inactive lately, start off slowly with 5 minutes a day, and then gradually build up to 10 minutes, 15 minutes and on to 30 minutes. You’ll have more energy, you’ll feel better, you’ll sleep better and you’ll live longer. Add 5 servings of fruits and vegetables to your new active lifestyle and you’ll feel better than you have in years - and there’s no easier way to get your 5 servings a day than with convenient, delicious Wholefood Farmacy foods. I used to love to visit the various article sites to see what I can find...after all, people are writing these wonderful articles to be read. At this update, article sites have become unpopular, as they lend to "duplicate content" on the internet, the same people posting the same articles at all article sites, with links to their business sites. It seems that this is frowned upon in recent years at this 2018 update, as many article sites have closed down, and the links within the articles are no longer active. Nevertheless, back in the day, the following article caught my eye, and does have some helpful information. I must say that I'm inclined to like the idea of working in my comfy sweats and slippers...but that's because of the kind of work I do at home. Read the following, the article was entitled "What to Know Before You Start Working from Home" by Jerry D. Wilson. Working from home is not a trend, it is now considered a very cost effective and efficient way of doing business. A great number of companies today are hiring people specifically to work from their own homes. Some of these companies even financially supplement these home offices with office allowances, the paying of phone and high-speed Internet connections and office supplies. If you find yourself in this seemingly enviable position here are some things you should think about to help keep yourself at the top of your game. Do not fall into the trap of going to work in your pajamas. While this may sound fun it is not. Your productivity will plunge, your attitude will suffer and your overall efficiency will be below acceptable levels. How you dress effects the way you think. This may sound funny but it is totally true. This is why Casual Day at the office may only be coming to work without a tie. In most cases Casual Day does not include shorts, a tee-shirt and no shoes. If you are working from home you should never consider yourself to be on permanent Casual Day. When I conduct sales meetings I always stress that the participants should dress accordingly. In most cases I issue instructions with the meeting announcement that all attendees should dress Business Casual for my meetings. No ties, no blue jeans and no shorts. If someone wants to wear a suit, that is fine. I would rather see someone over dress than under dress. For working from home, you should always get up, get showered, shaved and dressed appropriately for your day at work. Do not take shortcuts with your morning routine or your apparel for work. Keeping up appearances will make for a better attitude at work. It may sound like fun to have your desk in your bedroom but it will hurt you in the long run. If you are going to work from home find a different room to set up your desk. Having your desk in the bedroom will make for some very long days and nights. You also need the mental advantage of going to work. I like to tease my wife in front of other people when I joke that my wife makes me walk to work each morning. After a short chuckle and a weird look directed toward my wife I explain that I walk down the stairs and across the house to my home office. I am able to walk into my home office and begin the day like I was walking into a corporate headquarters. I have a door to my office that I can close at the end of the day when it is time to go home. Having a door to my office gives me the physical border that I need to begin and end the day and help keep my work from invading my home life. The tendency will be to cut yourself short with your lunch breaks. Do not do this. Take your breaks. Get out of your office. Go to the water cooler every once in a while. I found that when I physically left the house for lunch that I was more productive in the afternoons. The break gave definition to the mid-day or halfway point of the work day. Getting out of the house also made it less restrictive to the space I found myself in. Also, I was able to make friends with people so I could have the interaction that you will miss from working in solitude. Make some lunch appointments with friends, especially those in similar positions as you. Your productivity will flourish because of it. Working from home provides temptations for others in the home to interrupt whenever they feel like. This kills productivity and should be limited whenever possible. Would you ask me to help carry in the groceries if I were in an office downtown? Would you ask me to change a diaper if I were working in an office downtown? Would you ask me to watch the kids? Would you ask me to walk the dog? Well, you get the idea. If they would not ask you to do whatever it is if you were working downtown then they should not ask you if you are working from home. Another good visual explanation of how interruptions need to be limited is holding a pencil horizontal. Explain that this pencil represents the time it is going to take to complete the project you are working on. It is fixed, it is rigid and unable to be shortened. Now explain that the interruptions you get only shift the timeline further and further beyond quitting time. The project must be completed and the interruptions only delay the completion of the project. The one exception I make for this hard and fast rule of limited interruptions is if you have children. You should allow for breaks from work to see them off for school and for when they come home from school. These should be happy times in your family and your children need to see you on both of these occasions. Do whatever you can to make your children feel special during these times and you will not be interrupted so much by them at other times. You have a quiet atmosphere where you are surrounded by things you love. You do not have to listen to the office gossip or office politics. You should never be late for work and you are going to love the commute. Just be careful not to fall into the trap of dressing down, create an efficient work space that is not in your bedroom and limit the interruptions. Doing these things will help make you more productive than if you were in the corporate office and make you less stressed overall because you aren't fighting traffic twice a day. 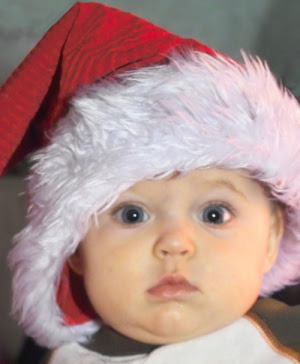 My grandson had his first Christmas last year (2006), came over to my house, had lots of fun opening presents, watching the lights. This year will one that he'll remember, and my son and his wife decided it would be great to stay home and start their own family traditions. So I had a great talk with my daughter-in-law as she asked me about the traditions her husband remembered best. I think his favorite was Christmas Eve. We'd have like a fiesta, enchiladas, taco's etc Some years we'd have a pinata. Then we'd gather around the Christmas tree and read the Christmas story from the Bible, have a song or two. Somehow they started the tradition of opening one present that night, and they haven't wanted to stop. Then they play games till we told them get some sleep! It is Sunday, November 25, 2007. I am in sunny Florida where the temperature is a it-feels-so-good 80 degrees and the sun is glorious. This is my permanent home now as of April 2004. I live on a wonderful little island called Anna Maria Island where the island's slogan is: "Paradise Without Attitude." That couldn't be any more true. Anna Maria is a quaint, charming, historic, laid-back and very friendly "old Florida-like" little barrier island situated on the Gulf Coast between Bradenton and Sarasota, about 1/2 way down the long state. To me, it really IS paradise. There is only one downside. And that downside is...............my two grandbabies live far, far away in the buckeye state--Ohio. My perfect world would be to have all of my family and dear friends move down here, too. But alas, that is not likely to happen! So, my grandma-hood consists of as many trips to Ohio as I can make, along with phone calls, DVDs made from camcorders, and hopefully, one day soon, webcams. I was concerned the first time I went back after Truman (my oldest grandchild, now age 3) was only about 18 months, that he would shy away from me. To my unbelievable delight, he seemed to really connect with me, and now he has ever since. Sometimes, he will go through about a 20 or 30 second "hide on daddy's leg" routine from which he quickly recovers. Then.............we speedily proceed to Grandma getting down on the floor ("Grandma, sit on carpet") to play many things. We play with Lightning McQueen and Buzz Lightyear and Dora the Explorer and those great, colorful Lego building blocks that I wish had been around when I was a little tyke. (I think we had Lincoln Logs and wooden blocks, which were certainly okay, but WOW, the colors of those lego blocks are great!) And we play "giggles" that we make up as we go. That's probably one of my favorites, because Truman will get right up close to my face and just giggle, and of course, it makes me giggle, too. It is more precious to me than I can express in mere words! Well, now then, I have a new one! New grandbaby. Truman now has a baby sister and her name is Brecken. He told me on the way to the hospital the day she was born (August 24, 2007) that he wanted a "girl brother." And his other Grandma and Grandpa had purchased for him a very special shirt which said "I'm the Big Brother." He was ready. He was now taking on a new roll of brother. No longer was he a son and a grandson. Uh-uh. He is now a BROTHER, too. And what a brother he is! He is so gentle and loving with little Brecken, it just warms your heart to see him. Even his little voice softens as he speaks to her. Now of course, we all know that will change over time, don't we? One day, she will just be his bratty little sister and he will argue with her and vice-versa. But for now, she is his "girl brother" and it is so cool to see him interact with her. So now, I have two reasons to have a sort of "split" heart! I say this because even though I love beautiful Ohio, I no longer want to live there. I truly deeply love Anna Maria Island and its warmth and beaches. Those are the reasons I moved here. But I surely do miss those little ones! They are absolutely one of the biggest joys of my life. I'm not sure when I'll get to visit again. I know Brecken will have changed a lot and will probably be sitting up and getting some "toofers" and all of those wonderful first-year things that babies do. In the meantime, however, I have the memory of her beautiful little face, surrounded by that incredible mountain of black hair. I have the memory of her sweet, soft, tiny little fingers grasping my larger one. And I particularly have this Truman memory that brings tears to my eyes every time I think of it: he and I were playing out in the dirt with his new little motorcycle shortly before I left to come back to Florida. It was in mid-October, and a rather nice warm day for Ohio that time of year. We were sitting in the dirt and I was telling him about how motorcycles do "hill climbing." So we made a hill-climbing track. And he was racing the cycle up the track. And all of a sudden, he reached over and plucked a late-blooming dandelion. Then he handed it to me, and said "here, Grandma, I picked a flower for you." I don't even have to tell you what that meant to me. So.....a short while later, we went back inside the house, I carrying my flower, which one of the dogs promptly tried to take out of my hand and munch. I was able to retrieve all of the stem, and a portion of the flower head, so of course, I immediately placed it in a safe place where I could press it and save it forever and ever. And even when it crumbles away, I will always have that memory pressed in my heart. Yesterday I decided to take my 14-month old grandson to the Mall. What a treat it was for both of us! Instead of pushing him around in his stroller, I decided to give him the same experience his mom and I have when we go together---walking and window shopping. What a treat it was for EVERYBODY! Just like my daughter was when she was little, my grandson is a showstopper...a real entertainer...and he performed brilliantly for anyone who was willing to stop, watch and listen. All anyone had to do was smile at him and that was his cue to clap his hands, do a little dance and belt out his version of Whatever! A few times he got a little out of control and grandma had to be mean---but it was all of the spirit of love and no-no. He took his first trip on the escalator and he loved it. He enjoyed it so much that he cried when he tried to get me to go back up again and I wouldn't. He was also fascinated by the mannequins but didn't dare touch them. I don't think his little mind could process exactly why a life-like figure would just be standing in the middle of a department store and doing absolutely nothing. (Sounds like some teenagers I know). Just before leaving the mall, my grandson decided he wanted to crawl under one of the tables in the men's department and play a game of "catch me if you can." 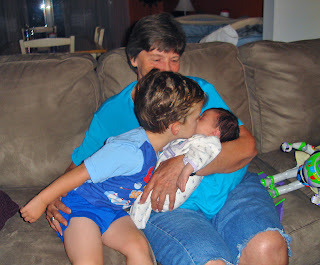 He quickly discovered grandma wasn't in the mood, which made him cry again. His tears caught the attention of a stranger who wanted to console him. She asked for a hug and after a moment, my grandson reached out to her. Then he put out that great big smile and all was well again. The whole mall experience was a video camera moment but, of course, I didn't have one. But the memory of hanging out at the mall with my grandson will live in my heart forever! Welcome to the first day of March...did you know that this is "National Nutrition Month"? I came across this article from one of the sources of healthy treats I love, and thought it seemed like a "fit" here, since we as Working Grandmother want to be here to enjoy our grandbabies and grandchildren for a good long time. Some of it we've heard before, many times perhaps, but it never hurts to be reminded again. I hope you'll enjoy, and after you've read it, if you have been at your computer for a while, get up, walk, stretch, move! I'm speaking to myself as well! I'm on my way as soon as I post this. A sedentary (inactive) lifestyle increases the chances of becoming overweight and developing a number of chronic diseases. At this update in 2018, I heard a report claiming that being sedentary is as harmful as smoking, it is that serious. This article was sent to me by the Wholefood Farmacy, my source for snacks as interesting as their names.